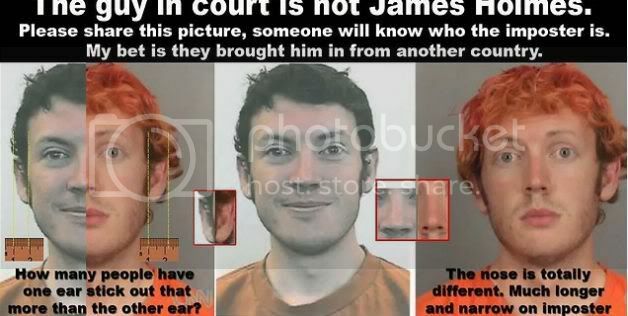 "James Holmes, "not just an average guy". The plot is thickening, none of this will get out on the MSM, meaning it is up to you and I to get the news out. The bigger story being that what we are being told in the media, is manufactured news and disinformation for the purposes of those who want to control us. -W.E." Well, the plot has definitely thickened. I had no idea. This is big. It is also a little complicated and we as American's like our news quick and easy or we change the channel, turn the page or go back to sleep. We want instant gratification via sound bites. I am with you on that. This is a story that needs to be told, needs to be understood. You can't make this stuff up friends. The truth certainly is stranger than fiction. I was thrilled to read the story (below) because of these other posts (Go here, here among others) I put up last month regarding the Aurora "Batman" shooter because this tied things together, as Paul Harvey says, it is "the rest of the story". I surmised it was a false flag shooting, but that it was more about gun-control when it occurred because of the timing mainly, with a vote at the U.N. approaching regarding gun control. Don't get me wrong, the Obama regime certainly didn't let a good crisis go to waste. They did push gun control, but that was not the main course, merely a side dish. The main course it seems, is about LIBOR, the largest banking scandal in the history of the world, to the tune of TRILLION$. The ELITE sent a message to SOMEONE, perhaps to Robert Holmes, father of James Holmes the man accused of the horrible "Batman" mass murder who is set (or so it is being reported) to testify in the LIBOR scandal. They can get to anyone they want and make anyone a mass murdering patsy they want. The story however, still isn't over. As I said back in July I will say again, the plot is thickening. What's this entry about? Here's a hint from the Gospel of Matthew and the Book of Psalms. Psalm 2:1-6 (ESV) Why do the nations rage and the peoples plot in vain? The kings of the earth set themselves, and the rulers take counsel together, against the Lord and against his Anointed, saying, "Let us burst their bonds apart and cast away their cords from us." He who sits in the heavens laughs; the Lord holds them in derision. Then he will speak to them in his wrath, and terrify them in his fury, saying, "As for me, I have set my King on Zion, my holy hill." You might also want to check out Luke 16 and the present day application. Settle in. I can assure you that by the time you reach the end of this you'll be shaking your head in disbelief like I was since some of it will seem like the latest summer blockbuster at the movies...until you remind yourself of the spiritual forces at work behind the scenes (Ephesians 6:12 ). Folks, as concerning as what's going on in the Middle East is right now, I would also like to submit to you some economic news that is worthy of your prayerful consideration too. Simply put, we are getting closer and closer to the prophesied One World Economy complete with a One World Currency fueled by the infamous "mark of the beast" (Revelation 6:5 ; Revelation 13:16-17 ; Revelation 14:9 ,11 ; Revelation 15:2 ; Revelation 16:2 ; Revelation 19:20 ; Revelation 20:4 ) system of control; we're closer than ever before. Not to belabor the point, but I don't think many people actually realize how close to an 'Economic Armageddon' we truly are -- not only in this country by around the world simultaneously. Today, I want to try to shed the light of truth on the darkness of deceit because the evidence that suggests these ancient prophecies are about to be fulfilled is staggering. While this piece will be a 'Symbolism Free Zone', I just have to lead with a story that defies logic, but one that's also intricately connected to the bigger story I want us to focus on today (even if it's not readily apparent at first glance, and even if our mainstream media won't make the connection for us even though they know what's going on here). An automated stock trading program suddenly flooded the market with millions of trades Wednesday morning, spreading turmoil across Wall Street and drawing renewed attention to the fragility and instability of the nation’s stock markets. While the broad stock indexes quickly recovered and ended the day slightly down, it was the latest black eye for the financial markets. The runaway trading suggests that regulators have not been able to keep up with electronic programs that increasingly dominate the supercharged market and have helped undermine investor confidence in stocks. Traders on Wednesday said that a rogue algorithm repeatedly bought and sold millions of shares of companies like RadioShack, Best Buy, Bank of America and American Airlines, sending trading volume surging. While the trading firm involved blamed a “technology issue,” the company and regulators were still trying to understand what went wrong. The debacle comes after the botched Facebook initial public offering on the Nasdaq exchange in May and the aborted effort in March by another exchange, BATS Global Markets, to bring its own stock public. The episodes, along with the flash crash of 2010 when the market lost trillions of dollars of value in minutes, have stoked suspicions that stocks are safe only for specialists, and sometimes not even for them. One of the six, Wizzard Software, saw twice as many shares traded in the first half-hour as there were during all of Tuesday, artificially catapulting its stock more than 300 percent, according to the data firm Nanex. The trades placed by Knight may have left the firm with millions of shares of overpriced stocks that quickly lost their value after the chaos ended, but the company did not comment on its potential losses. The firm’s own shares ended the day down 32 percent amid concerns about disgruntled customers and lawsuits. Knight is one of many companies whose fortunes have risen as regulators made a series of changes over the last 15 years that have opened up the markets to new exchanges and trading firms that use computer programs, or algorithms, to execute thousands of trades a second. High-speed firms use the algorithms to make money from small changes in stock prices and now account for more than half of all stock trading. But the changes have also introduced instability into the system, which was made clear in the flash crash. After that event, the Securities and Exchange Commission set out to add safety valves to the system. But the turbulence on Wednesday reinforced the belief that regulators had not been able to keep up with the growing sophistication and speed of the market they were overseeing. In addition, the circuit breakers are programmed to respond to changes in the price of shares, not changes in the number of shares being traded, so they did not stop much of the unusual trading. In the end, trading was halted in five stocks: Molycorp, Corelogic, Kronos Worldwide, China Cord Blood and Trinity Industries. There's so much more to the article if you want to click the hyperlink above. However, let me see if I can set the stage for today's investigative piece by drawing your attention to the portions of the above article I highlighted. Despite this being a 'Symbolism Free Zone' today, did you find yourself wondering what the odds are of this concerning series of events on Wall Street involving a firm called 'Knight Capital Group', as in the whole The Dark Knight Rises meme that we've been witnessing for the past couple of weeks now? I sure did. In addition, what are the odds that an organization called the Knight Capital Group would also feature prominently in the same story that also features BATS Global Markets as well as another company called Wizard Software? The parallels to the bizarre and unusual imagery and symbolism we saw depicted at last week's London Olympics Opening Ceremony comes to mind, doesn't it? You bet it does. How can it not? Ok, but enough of the speculative and subjective symbolic analysis. Let's just get to the cold, hard facts and really attempt to put Ephesians 5:11 and Matthew 10:16 into practice here. Please pay very close attention to the parts of the above news item that discuss "a rogue algorithm" as it pertains to Wall Street and the Financial Industry/Global Economy at large because it's the heart and soul of this study, and by the time you reach the end of this article, it will stand front-and-center. By the way, how 'strange' and 'coincidental' is it that in the film The Dark Knight Rises, the bad guy 'Bane' gets his hands on Software that is used to...wait for it...expose the fraud on Wall Street, and that by using it he ends up gutting the rich? Nothing to see here. Move along now. Have you heard of the 'Libor Scandal' that's unfolding right now before our very eyes in not only Europe, but here in North America too? Me neither. Not until the last couple of days anyway. When you're done working your way through this piece, however, you'll not only understand why it's the single greatest threat to the stability of the already fragile global economy, but you'll also get another glaring example of why our federal government and mainstream media are complicit in keeping us all in the dark despite the serious nature of this scandal. Oh, and if you're inclined to think that's just me being 'too critical' of them, then I present to you one of their own who addressed this shameful apathy being exhibited on the part of the American populace and the popular media. Maybe instead of asking why Americans don't care about the Libor scandal, we should be asking whether they've even heard of it. The scandal that has been not-crazily called the biggest financial scandal in history has gotten all of zero minutes' air time on the ABC and NBC nightly news broadcasts and only a little more time than that on CBS and the major cable news channels, according to a report by the progressive media watchdog Media Matters. Who cares, you might be thinking, who watches TV news any more? Not as many, any more, but most people still consider TV their primary news source. Media Matters did a Nexis search for all the times Libor and Barclays and other search terms related to the scandal got mentioned on prime-time broadcasts since the scandal broke in June and found next to bupkus. So, to recap, the major TV outlet covering Libor the most is the one that nobody watches, CNN. Our major TV news outlets realize that this story is, like Bennet Brauer, not camera- friendly. Americans prefer watching stuff about shark attacks and TomKat more than they like learning about the manipulation of an obscure interest rate. That is as George Washington wanted it. The TV news people do owe it to their viewers to try, at least. Instead of punting, which is what they have mostly done. And it's not like there's nothing's going on in the Libor scandal. Every day there's something new, including the rare joy of watching Treasury Secretary Tim Geithner get grilled on Capitol Hill. Sadly, he's absolutely right, and my concern is for the millions upon millions of people who are going about their daily lives without a single care in the world right now who could wake up tomorrow to a drastically different world than the one they left the night before, and all thanks to the outcome of this Libor Scandal. What is it all about though? The Libor (London Interbank Offered Rate) is the benchmark Interest Rate for a whopping $800 trillion of financial instruments. That’s more than 10 times global Gross Domestic Product. It is at the heart and core of virtually every piece of debt that is issued to consumers around the world -- credit cards, car loans, mortgages, student loans, interest rate swaps and other complex derivative products all depend on the Libor Rate. Oh, and apparently, Libor is rigged. Yep, I think we might want to prepare for 'Economic Armageddon', and that's not hyperbole either, folks. So, for those of you who have your trust in your money, your God-given resources, rather than in God Himself, I hate to break it to you, but you're in for a rude awakening. This Libor Scandal is a new scandal in the Banking Industry that's undermining its image, which we all know is already tarnished by rogue trading at JPMorgan Chase as well as the 2008 Subprime Mortgage collapse. At the heart of the scandal? 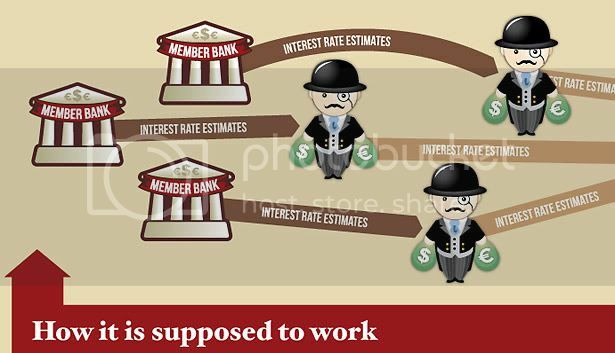 Manipulation of 'Libor', or what is the most widely used Interest Rate in the world. Estimates of how much is tied to Libor vary from $350 trillion to $800 trillion. To put that in perspective, $350 trillion would pay for all U.S. government spending for 96 years!!! Bottom line, almost every fragment of debt that is issued to consumers -- around the world -- is connected to this Libor Rate. That's a quick introduction. Friends, this story isn't going away any time soon. In fact, it's just getting started, and the prophetic implications are sobering because it truly threatens the world economy, and calls to mind thoughts of the prophesied One World Economy/One World Currency and Revelation 6:5 . Below is the latest. Ironically (or maybe not), the epicenter to this far-reaching scandal can be found in London. Cheerio! Did you catch that? The world's Top 20 Banks are being investigated right now, and ALL of the top Banks here in the US are a part of that Top 20 group! Barclays, JPMorgan Chase, Bank of America, Lloyds and 12 other big Banks stand accused of colluding to manipulate Libor. The Bank of England, the Federal Reserve, and now U.S. Treasury Secretary Timothy Geithner all stand accused of aiding and abetting. Don't you just love the media blackout on this story here in this country? I guess that should be expected though, especially in an election year, huh? Gimme a break! Unbelievable, isn't it? Yes, but then again, not really given what we believe and know to be true. This next bit of news was buried by the London Olympics Opening Ceremony hysteria last week Friday, July 27th, 2012 when it took place. This should help make things a little more 'close-to-home' for us here in the US. To reiterate, Treasury Secretary Timothy Geithner said that he knew of irregularities surrounding the Libor Rate as far back as 2007, but conceded that the Rate was used to help structure the bailout of AIG. Now, before we go running off and blaming President Obama, his administration, and Democrats en masse, I have something else I'd like to share with you that was also nowhere to be found within our mainstream media. It's Exhibit A when it comes to what I'm fond of saying these days as a Christian who comments on politics: "Democrats-Republicans, Liberals-Conservatives, Left-Right -- it really doesn't matter any more -- because they're just two sinister sides to the same corrupt coin!" Get this garbage! Those of you who are committed to voting for Mitt Romney for President in a few months might want to reconsider. You all know my feelings about politics in general, and the extensive studies we've done on the proper Biblical response to it. Still, it's news like this that helps to embolden my faith on these matters. Let's cut to the chase though. The Libor Scandal is essentially going to turn out to be the biggest con in financial history (bigger than what happened back in 2008). More importantly, this con could very well destroy the Western world's financial system once and for all. Of course, if that were to happen, then we're looking at a fast track to a new global economic order complete with a new global currency too! That's literally how close we are to the fulfillment of some major end times prophecies. But most shocking of all is the lack of shock. The consensus of some analysts is that, yes, the Banks were cheating -- but they're Banks! Isn’t that what they do? Everyone was lying. Everyone was cheating. Everyone was stealing. And nobody had any problem with that. Lord, have mercy on us all! It’s the "crime of the century", says the Nation’s Robert Scheer. If all the allegations prove true, this is the biggest financial scandal the world has ever seen, by far. Bernie Madoff is a piker. The mortgage mess, the robo-signing/rocket-docket perpetrators, Enron, WorldCom and the Long Term Capital Management frauds are nothing compared to Libor. Imagine if you were told that the Dow Jones Industrial average was rigged. Or that the U.S. dollar index never really measured the dollar’s value. That’s how big a deal this is. And the sordid revelations keep coming. Everyone knows that the crude oil market is subject to manipulation. The opec cartel exists for that reason. Similarly, everyone knows the Federal Reserve, the Bank of England, the Bank of China and other central banks manipulate the values of their currencies to achieve policy goals. But now investigators are finding that even the most widely relied-upon and important indices—ones that the public has been led to believe to be free—are actually fixed too. Markets for natural gas, various metals, foodstuffs and other commodities may be just as fraudulently manipulated by financial institutions and their traders as Libor. The global financial system was apparently a racket all along—the banksters just temporarily convinced the world otherwise. Now confidence in the whole system is being broken. That’s a hugely important question that investors and governments around the world are sure to be asking: Can the Anglo-Saxon financial system be trusted? The implications will affect us all. The U.S. dollar is a fiat currency. Like all fiat currencies, its value is not linked to any tangible asset. The only thing backing the value of the dollar is the confidence that it will be able to purchase a similar amount of goods tomorrow as it does today. But here is the catch. There is no standard that determines what a dollar is worth—it’s all relative. The dollar’s value could collapse overnight. The same is true for every currency, whether euro, yuan or pound. Each is backed by confidence—confidence that the national government will impartially enforce the law, confidence that the government will honestly pay its debts (not just print more money), and confidence that the currency will remain a store of wealth. And most importantly, the value of the dollar is predicated on confidence that the economic system as a whole is largely trustworthy. It is that confidence—confidence in America and Britain—that is now being questioned. When that confidence is broken, faith-based economic systems collapse rapidly and spectacularly. Foreign investors flee; capital flight ensues; governments can no longer borrow money, so they print it; inflation soars, currencies devalue; economies devolve—and First World nations become Third World. That's the reality of the situation, folks. For those with ears to hear and eyes to see, this news correlates powerfully with not only where so many of us believe we are on God's prophetic timeline, but it correlates powerfully with what God's Word has to say about the last days. We know we're getting closer to some economic tipping point by the fact that a MAINSTREAM MEDIA Reporter recently told the truth about the creation of the Federal Reserve as well as the entire 'Audit The Fed' movement that saw Ron Paul and his supporters gain a major victory in the House of Representatives last week. If the Mainstream Media was actually doing their job like this courageous local Reporter, then perhaps we could get some answers to some questions that have gone unanswered for a very long time. Better yet, perhaps a majority of us would already be familiar with the very burgeoning economic scandal that threatens to derail the entire system itself. But even if the world economy comes crashing down overnight all around us we are the ones who will be beacons of light and truth in the darkness! Why? Because we belong to the Lord and Savior Jesus Christ. We put our confidence, faith, and trust in Him and His Word -- not in man or money -- to save us. Matthew 6:24 (ESV) No one can serve two masters, for either he will hate the one and love the other, or he will be devoted to the one and despise the other. You cannot serve God and money. I know the Person I serve. Who, or should I say what, do you serve? Earlier, I mentioned that there was one aspect to this story that will absolutely leave you shaking your head in disbelief. I'll admit that I initially hesitated to include this next part, but now believe it's the best move here. That's because, I can completely understand how, at first blush, everything within us wants to reject it as being true, because the implications would mean that we live in a much more evil world than many of us like to think we do. Sorry to break it to you folks, but we live as "a peculiar people" (1 Peter 2:9 ; Titus 2:14 ) in Satan's kingdom here on earth (John 12:31 ; John 14:30 ; John 16:11 ; Ephesians 2:2 ), and the likelihood is that it is true even if we can never prove it, or get some kind of 'official' confirmation (think 9/11). All that being said, there might be (and I want to clearly stress the words 'might be' here since it's nearly impossible to confirm any of this next part aside from a genuine confession) some truth to the rumors that the man named 'James Holmes' who's being held in Colorado for murder committed at the opening of The Dark Knight Rises a couple of weeks ago is not the same man who was initially pictured as the alleged suspect. I know. As ridiculous as it sounds, how would you react if I told you that the James Holmes being held in jail right now (the one who has insisted that he has no idea why he's there and what he did) has a father who's not just any average guy, but who's someone who just happens to be a key witness in the Libor Scandal proceedings!?! I kid you not. I couldn't make this stuff up. Apparently, his father, Robert Holmes, was said to have been scheduled to testify within the next few weeks before a US Senate panel on the largest bank fraud scandal in world history that is currently unfolding, and which threatens to destabilize and destroy the entire Western banking system (the Libor Scandal). 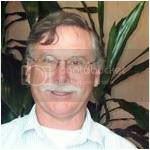 Apparently, Robert Holmes, whose family links are said to go way back to the Mayflower, is known throughout the global banking community as being the creator of one of the most sophisticated computer algorithms ever developed and is credited with developing predictive models for financial services, credit and fraud risk models, first and third party application fraud models, and internet/online banking fraud models. Well, well, well! Speculation and uncorroborated reports aside, we've come full circle to that'algorithm' business again, haven't we? I don't know what to make of this particular aspect to this sordid saga, but even his LinkedIn profile seems to support such wild claims. Senior Lead Scientist at Fair Isaac Corporation My educational background is in Mathematics and Statistics. My experience over the last 10 years at HNC and FICO has been in develping predictive models for financial services; credit & fraud risk models,first and third party application fraud models and internet/online banking fraud models. Management Experience: I am currently managing a team building Falcon Fraud Manager Credit card fraud models. I have also managed teams in the Telco and Identity Theft fraud areas. What do we make of all this then? If it's true, is this sinking in yet? Dare we ask ourselves whether or not this is a classic case of Setting-Someone-Up-To-Take-A-Fall-In-Order-To-Send-A-Clear-Message-To-Someone-Else-That-They-Better-Not-Testify? Friends, I'm sorry to say that that's precisely what this seems like to me, although I readily admit that it's the part of today's story that cannot be verified at this time, but I'm still not one to shy away from asking some non-mainstream questions like this even if it disparages me by further marginalizing me as just another run of the mill 'Christian Conspiracy Nut', because I believe in using the brain that God gave me to assess the facts, and to think critically about the evidence before coming to my own conclusions. I strongly suggest you do the same and take all of this under prayerful consideration withProverbs 3:5 as your guide, of course. Truth is, take the James Holmes/Robert Holmes segment out of this discussion and we're still left with the burgeoning Libor Scandal. There's nothing 'conspiratorial' or 'speculative' on my part when it comes to the facts of this case. The time to get your spiritual house in order is today. How do you go about doing something like that? Repentance and faith. Now, I’ll ask you again...Are you saved? Have you repented for your sins? Have you cried out to the Lord and Savior Jesus Christ for forgiveness, mercy, and salvation? Do you believe in who He is and what He did on your behalf taking the punishment for your sins on the cross at Calvary, shedding His innocent blood in place of your own, having died and been resurrected so that you could have eternal life? Are you born again and willing to give up everything to following Christ? I pray that you can answer 'Yes!' to all of those questions. Pray for wisdom and discernment in the days, weeks, and months ahead (we'll need it! ).